Thank you to our supporters! Must! charities gift of $27,000 has enabled The Food Bank to coordinate 10 sites on a monthly basis which will help more children and their families eat healthy! Check out this article in Paso Robles Daily News about SummerWood Winery’s contribution to must charities! SummerWood Winery & Inn has partnered with Must! Charities on a special wine project to benefit the North County non‐profit organization. The winery is selling a specially‐labeled wine with proceeds going to the organization. The wine is a multi‐vintage, Paso Robles Red Blend, uniquely labeled for the organization. Priced at $15 per bottle or $150 per case, $10 from each bottle sold will be donated to the organization. The Must! Charities Red Blend is currently available in the SummerWood tasting room, open 10 a.m. to 6 p.m. every day. Must! is a unique non‐profit organization headquartered in Templeton. Founded in 2012 by a group of local winemakers, the organization has grown to more than 250 partners. The organization is unique in that it takes a comprehensive approach to its funding projects. Based on community needs, they work with existing non‐profits in a variety of sectors, including education, healthcare, mentoring and providing healthy meals to those in need. The organization seeks out the biggest needs in our community and determines how best to meet those needs. From there, Must! walks side by side with other philanthropic organizations, securing the business model, leadership and providing guidance and coaching. This approach maximizes the impact of the donation, and empowers the organization to make strategic change that creates long‐term sustainable improvement. To learn more about Must!, visit their website at www.mustcharities.org. 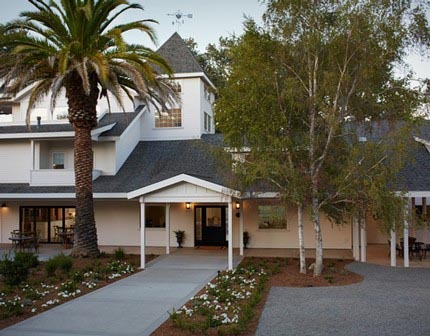 SummerWood Winery & Inn is located on the westside of Paso Robles, set on a 36‐acre estate vineyard. The winery’s focus is on limited production wines, with both the Rhône and Bordeaux‐style selections receiving honors from wine publications and international competitions. The nine‐room luxury guest inn reopened in 2013 after an extensive renovation. SummerWood Winery & Inn is owned by the Fukae family of Japan, with the winery’s name originating from the translation of Mr. Fukae’s oldest son’s first name, Natsuki. For more information, please visit www.summerwoodwine.com. Just in case you are not on Niner’s mail list –check out what they sent out this week! A cause you can get on board with! Help us reach our goal of donating over $10,000 to must! charities by purchasing one of our “Mystery Cases” of wine. The mystery case breaks down like this: we have 35 cases of wine available that have been randomized in our warehouse. Of these, 25% of them have been ‘upgraded’ to include some of our Reserve & small-production wines. The other 75% are a mix of our Estate wines, so either way you win! 100% of proceeds to benefit must! – help us reach our goal! Yes, it’s true! The season is soon upon us and we’d love to get some extra dollars into must! while you are doing your holiday shopping! When you shop with Amazon, you can designate must! charities as your Amazon Smile charity and 0.5% of qualified purchases go directly to must! charities. THAT goes right back into our community! Start shopping at Amazon – we thank YOU! From his parents, Armando has learned how to be kind, generous, hard-working and honest. But because they never attended formal school themselves and don’t speak fluent English, they are at a loss when it comes to teaching Armando how to develop good study habits at home, organize his homework, or speak to his teacher when he needs extra help. When the school counselor suggested our program, Armando’s parents were skeptical, but agreed to give it a try. We paired this shy middle-schooler with Big Brother Cole, who is studying to be a teacher. When planning their outings, they alternate between doing something “fun” like surfing or mountain biking, and doing something “serious” like math or reading. Cass Winery is well regarded for its estate wines, but over the last several years it’s also steadily become known for its gourmet farm-to-table fare. Lovejoy didn’t always have his sights on a career in the kitchen. After originally earning a psychology degree from Fresno State University, he decided to enroll in culinary school and ultimately found his career passion in cooking. The bountiful garden is located just outside the tasting room and offers a serene view if you choose to sit out on the patio for your meal. (Seating is also available inside.) Among the crops currently coming out of the garden are cucumbers, squash, carrots, radishes, shallots, onions and about 15 different varieties of tomatoes. “Obviously we want to incorporate as much from our own garden as possible,” said Lovejoy. As a result, that produce finds its way into the Chef’s Garden Veggie Sandwich topped with goat cheese and housemade garlic aioli, a salad of organic baby lettuces topped with locally grown nuts and housemade vinaigrette, and the daily from-scratch soups available on winter menus. — was only the first step. In 2011, a chicken coop was built so the kitchen could have fresh eggs, followed by the establishment of an estate beef program in 2012, and then the dedication to making house-smoked and -cured meats in 2013. As a result, other favorites on the Cass menu include the Chicken Salad Sandwich made with Mary’s house-smoked, free-range chicken, the Bennie’s Burger (developed by sous chef Ben Derringer) made with estate-raised beef and topped with house-cured bacon, and the very popular Cass Crab Cakes (with a definite emphasis on crab, not filler) served with housemade remoulade. For Lovejoy, this type of cuisine has really brought him full circle. The scene: Enjoy Cass wines while sitting out on the covered patio overlooking the garden or inside the tasting room; reservations required for parties of six or more. The cuisine: Garden-fresh cuisine and from-scratch accompaniments are showcased in several entrées that pair nicely with Cass wines; locally made Leo Leo Gelato available for dessert. Expect to spend: $18-22 for entrée and wine flight (flight required for food purchase; $10 wine flight only, complimentary for wine club members). Jacob Lovejoy is one of the chefs competing Thursday in the fourth annual Top Chef Competition, a fundraiser for the Wellness Kitchen & Resource Center in Templeton. The WKRC provides healing foods, education and resources for those in the community wishing to regain or sustain health through nutrition. For more information, go to http://www.thewkrc.org.